A powerful and extensive ridge is centered over the N Atlantic and W Europe, while a deep trough pushes across the E Europe. An upper low moves across S Italy and the Ionian sea. Another large upper low remains over NNW Africa. 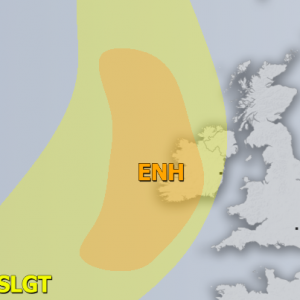 ENH / SLGT risks have been issued for N Atlantic and Iceland with threat for severe to extremely severe wind gusts. Highest gusts are expected over the NW Iceland and further northwest towards Greenland where peak gusts above 130 km/h will be possible. 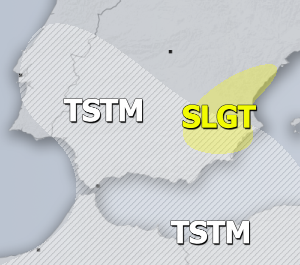 SLGT risk has been issued for extreme N Morocco and Gibraltar where severe wind gusts reaching 100-110 km/h are possible. SLGT risk has been issued for N Apeninnes (Italy) and Kvarner region (Croatia) where severe winds locally in excess of 100 km/h are possible. 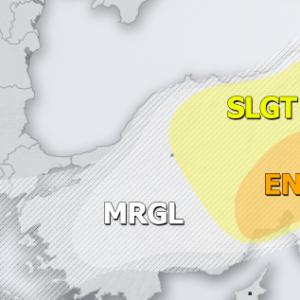 MRGL risk has been issued for N Morocco, N algeria and N Tunisia with threat for isolated severe storms, capable of producing severe winds, marginal hail and torrential rainfall. 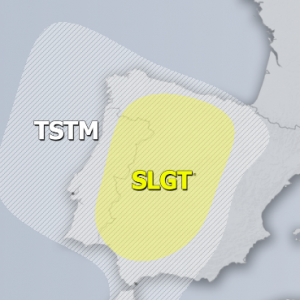 TSTM risk areas have been placed where convective storms are posssible.